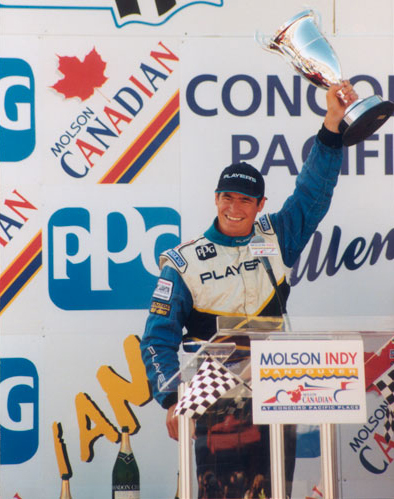 With over 20 years of experience as a professional racecar driver makes Claude Bourbonnais one of the most experienced Canadian Race Car Driver. He has raced internationally in series such as Indycar (Indy 500), the late Champcar series, the 24hrs of Le Mans, FIA Formula F 3000, Formula Atlantic, FIA Sports Cars and other series. Claude also has over 10 years of experience working with leading racing schools, skid schools and advanced driving programs. He is also very active with major car manufacturers. 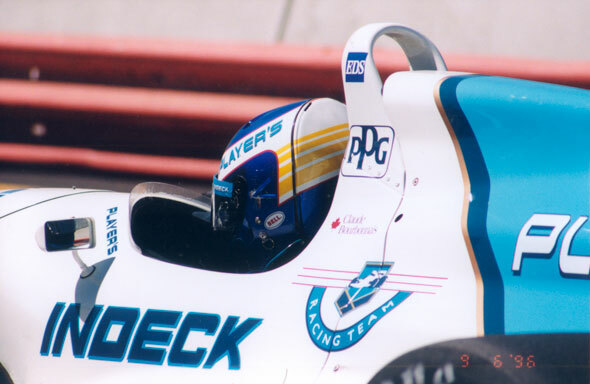 Claude was also TV commentator for Champ Car series at RDS, as well as a spokesperson for events held by PPG, Bombardier and the Late Player’s Atlantic Series. He was also a spokesperson for Molson Canadian’s “Don’t drink and drive” program along with Mario Andretti in the 90’s. Claude has also been featured on driving demo videos, stunt driving in the film “Driven”, in Player’s Racing TV commercials as well as Cardinal watches ads. Associated to promotional programs with GM, Chrysler, Michelin, BMW, Mazda, Subaru, Mercedes, Ferrari and Maserati, Claude is also a private driver coach for many drivers (IRL drivers, Atlantic drivers, Formula BMW drivers and Karters). 2008 North American Ferrari Challenge Lead Driver Instructor, 2007 SRT Track Experience (Dodge), SLR Mercedes program, Canada GM tour, North American Chrysler Tour, BMW, Michelin and Mazda to name just a few! Claude Bourbonnais… Has qualified on the pole 28 times and won 28 races as well as having established lap records at each of the following permanent road courses, street courses and oval race tracks: Laguna Seca CA, Lime Rock CT, Long Beach CA, Loudon NH, Mid Ohio OH, Milwaukee WI, Montreal GP QC, Mosport ON, Nazareth PA, Phoenix AZ, Road America WI, Road Atlanta GA, Shannonville ON, Snetterton UK, St Jovite QC, Toronto ON , Trois Rivieres QC, Vancouver BC. Driver and Private Racing Instructor. Indy Car & Formula Atlantic Racing Coach. North American Ferrari Challenge Series Coach. Atlantic driver coach, Formula BMW driver coach. Indianapolis 500 – A last minute ride after regular qualifying was already completed in an unused spare car. Succeeded in bumping into the Indy 500 at over 210 mph average on the last day of qualifying despite limited track time and never before having driven an IRL car. DNF after engine blew on lap 9. Worked as driver color expert for RDS TV network at all PPG CART World Series events. 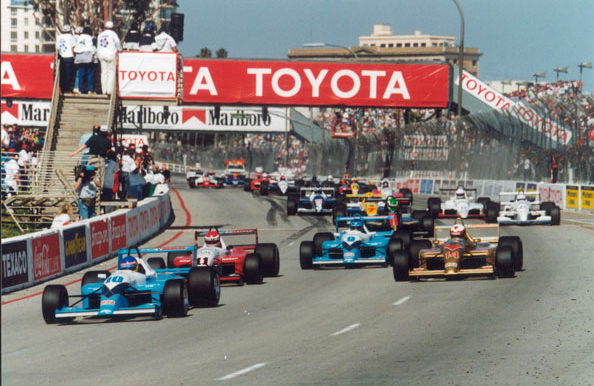 Indy Lights, partial season, select races. Continued as spokesman for Molson Breweries. Competed in Formula Atlantic event at 3 Rivers: Qualified on pole, DNF. Le Mans: Qualified 7th (first F-3000 race, first drive in rain, first time at this track), DNF. Chosen as spokesman for Molson Breweries “Don’t Drink and Drive” campaign with Mario and Michael Andretti. Mosport: Qualified on pole, built 13 second lead before engine blew -Established new F/A lap record. SCCA Star Search ’89 Winner – SCCA’s annual pick as “Most Promising Driver in the U.S.”. Won SCCA’s “Jim Fitzgerald SCCA Rookie of the Year” Award. Pole position at Mt Tremblant. Competed in final 2 events in Italian Karting Championship. Winner – “Rookie of the Year” Award.